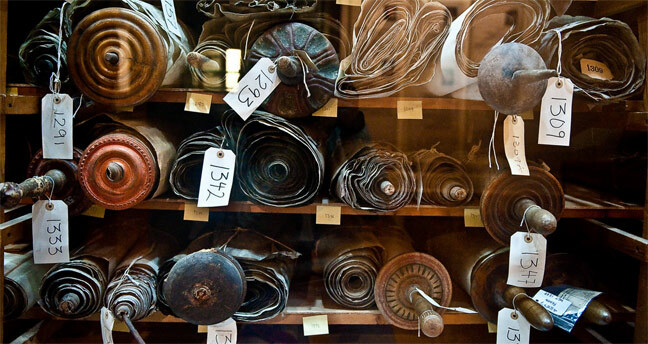 This picture is from the Memorial Scrolls Trust (http://www.memorialscrollstrust.org/), a collection of 1600 Czech Torah scrolls saved from the destruction of the Holocaust. We’ve learned how we can choose life through desiring and studying God’s word this week. What does choosing life look like? Let’s pause for a moment this Saturday morning and turn to 2 Chronicles 34, our key text. The Israelites in the Old Testament always seem to be getting into trouble and turning away from God’s paths. At this point in 2 Chronicles, the kingdom of Israel that Saul and David had established had been divided in two, with the ten tribes in the north making up Israel and the two in the south, Judah. The nation of Israel had become so wicked that God had sent them into exile. The kingdom of Judah had not gotten that bad, yet. But still, the people, under the king’s directions, had begun to worship other gods and neglected the one true God. In 2 Chronicles 33, we find the temple in disrepair and the law of God lost. The nation of Judah was choosing death. But, in 2 Chronicles 34, we find hope in the form of a boy named Josiah, anointed king at only 8 years old. The Bible said that “he did what was right in the LORD’s sight and walked in the ways of his ancestor David; he did not turn aside to the right or the left” (v. 2). Josiah according to this verse was obviously choosing the path of life. But, what does that actually mean? What did he do that was so righteous? The rest of this chapter goes on to say that he tore down the false gods that his people were worshiping and cleansed the land. Then, he began to restore God’s temple to how it should be. While the priests were looking through the temple and cleaning it out, they found something pretty important. In verse 14, it says that “Hilkiah the priest found the book of the law of the LORD written by the hand of Moses.” The people of Judah had walked so far down the path of unrighteousness that they totally neglected the law of God and lost it. Later on, it says that the court secretary, Shapan, just told King Josiah, “Hilkiah the priest gave me a book.” The law to him was nothing more than an old book! Shapan read the law aloud to Josiah and when Josiah heard this, he got so upset that he tore his clothes! He realized that his people hadn’t been choosing the way of life; they hadn’t been keeping “the word of the LORD in order to do everything written in [it]” (v. 21). This week, we’ve been meditating on the importance of scripture. We have a wonderful gift already because we have such easy access to the word of God! But, just like the people of Judah, we may neglect it to chase after other things. This year, we have another opportunity to commit ourselves to learning how to choose life from God’s word, both through these devotions and more simply through dedicating ourselves to God. Beginning tomorrow, we will learn more Godly wisdom from the book of Proverbs. Make a choice now to dedicate yourself like Josiah did to the daily reading of God’s word so that we can follow the paths of righteousness that lead to life. This week, we’ve been focusing on the importance of God’s word for our lives. Yesterday, we focused on the nitty gritty aspects of Bible Study. Today, we’re going to look at the bigger picture as we wrap up the week! Yesterday, we talked about our daily quiet time that normally involves reading the scripture. 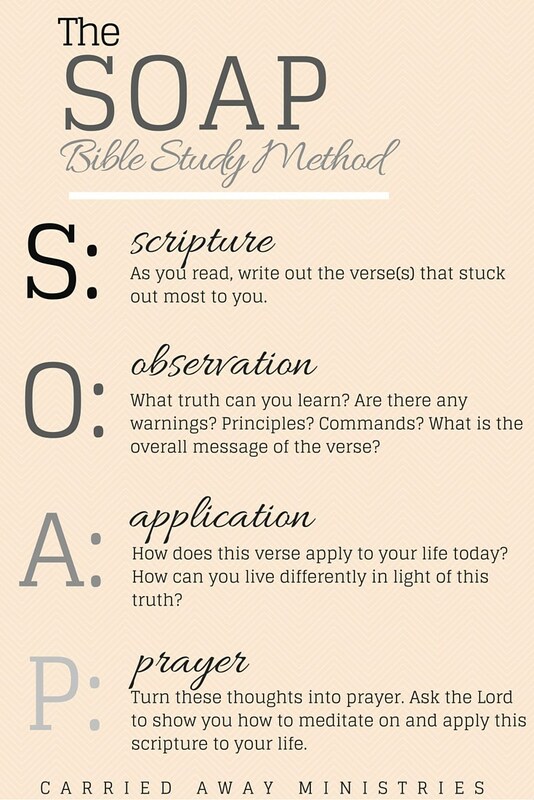 It’s important to remember that we can study the Bible in different ways! Last year, we looked at the Big Picture of the Bible. We read through it quickly and tried to see how each part of the Bible related to God’s epic plan. We can also study the Bible by studying specific books of the Bible, which we will do beginning this Sunday as we study the book of Proverbs. Another type of study that we can do is a topical study, where we look at specific topics like love or marriage and study what the Bible says about it whenever that topic comes up. Each of these ways of studying the Bible really helps us to have a complete picture of what we’re studying, and so we should try to do them at some point in our study of the Bible. Once we read the Bible, we should meditate on it. If we look at verse 1-3 of Psalm 1, our key passage for today, we see that the man who meditates on the law of the LORD day and night is blessed! What is the law of the LORD? The Bible! But, what does meditating mean? Generally, it means to “think deeply or carefully about something” or to “consider.” It can be tempting to treat our daily reading of God’s word as a chore that we have to check off our to-do lists. We skim through a chapter or two a day and then close our Bibles without ever thinking about it again. The danger in this is that we never let God’s word sink into our hearts! That’s why it’s so important to meditate on it, to think carefully and deeply about what the Bible says. Yesterday, I mentioned that you could journal after reading to help you think. This is a great option! Prayer also helps us to do this. If you’re artsy, Bible Journaling Art can be a great way to meditate on scripture as you make artwork that relates to what you’ve read. Another aspect of Bible study that’s important and can help us to meditate on the scripture is memorization. Growing up, I never really saw the value in memorizing scripture. My family is Christian so we had about 15 Bibles to choose from if I really wanted to look up a verse. On top of this, my brothers and I got a laptop to share when I was about 7 or 8 years old. By the time I really cared to look up verses, I always had Google or Bible Gateway at my fingertips. This is even truer now when I constantly carry around my phone. All this being said, even when I know that I have the capability of looking up scripture to help me work through a situation or strengthen my faith, I, unfortunately, don’t choose to do this first thing. A worrier by nature, I immediately start analyzing my situation from my viewpoint, and if it’s a problem that stresses me out too much, I’ll enlist the help up my friends to sort it out. If I don’t have scripture ready at the forefront of my mind that I’ve thought about and hidden in my heart (Ps. 119:11), I’m afraid I won’t turn to it until I’ve already done something that I probably shouldn’t have. For instance, if I am worried about a situation that’s making me anxious and keeping me up at night, I can (1) journal about it, maybe cry about it, and maybe even call a friend if I’m real upset. OR I can remember Philippians 4:6, which says, “Do not be anxious about anything, but in every situation, by prayer and petition, with thanksgiving, present your requests to God.” That’s a pretty profound truth that totally changes the way that I think about how to handle the problems that I face! Memorization is important. It can help you in situations like this. (Because we both know that even if you have a smartphone AND a Bible sitting at your bedside table if scripture isn’t the first thing on your mind, you’ll probably be picking option one in the scenario above.) And, it can help you as you defend your faith (1 Peter 3:15). Look at Jesus’ temptation in the desert in Matthew 4 if you need some more evidence for the importance and benefits of memorizing scripture. This year, you’ll have some great verses picked out for you to help you memorize Scripture each week with these devotions! Lastly, we should remember our fundamental purpose for why we study the Bible. We want it to change our hearts. We want to know and live for God. If you do the first three phrases consistently in your life, this, in addition to the power of the Holy Spirit, will really begin to make a big change in your life. And, if we check ourselves with this purpose each day, it will be harder to fall into the trap of viewing the reading of God’s word as a stale chore to be tackled each day. Let’s dedicate ourselves to reading, meditating on, memorizing, and living out the truths we find in God’s word! This week, we’ve been talking a lot about the Bible and its importance in our lives. Even if we know how big a difference daily reading the Bible can make in our lives and we desire to know God’s word more, it can seem a bit overwhelming to actually dive into reading the Bible daily. Luckily, these devotions, regardless of whether you have spent the past year with us, have helped to give you some direction as to how to study the Bible. Still, it can be daunting to really dive into creating this habit that can literally change your life. So, today, we’re going to be talking a little bit about how to study the Bible. For some of you, this will be old stuff that you already know. For others, some of this might be a little new. But, that’s okay! Wherever you are at in your walk with Christ, it’s always important to be intentional about your time with God. So, let’s dive in! Today, we will talk about one aspect of studying the Bible: What should our daily time with God look like? Before we begin studying the Bible each day, it’s a great idea to pray. Why? During this time, we want to make sure we are coming to our studies with the right attitude to get the most out of it, and we should be sensitive to the Holy Spirit while we are studying. Prayer helps us to keep those things in mind. Then, we dive into our actual studies. If this is your first time reading the Bible, it may be helpful to you to just mark some interesting passages with a pen or highlighter as you read. If you’ve been doing this for a while, you may ‘code’ your Bible, marking topics that are similar to other texts. Even if you don’t do this every time you read the Bible, once you begin reading regularly, you’ll start to see the ways that the different books of the Bible interact with one another. If you see something, it’s a great idea to write it down in your Bible! This is called cross-referencing and can be a great way to go deeper into your Bible study. Plus, think of all the notes and ideas that your Bible can hold if you keep doing this for a long amount of time! Another way to go deeper into your study is to look up the meaning of words using a dictionary. If you are unsure why an author used a certain word, look it up! You may find something really cool about the original Hebrew or Greek words. After this, it’s a great idea to write down some of what you found in your study in a journal. Writing things down (1) helps you to work through problems in your mind and (2) will help you remember it later on. If you skim through something, it will be hard for you to really write about it. Or if you read something, but are confused with what the author is trying to say, you may be able to work it out in a journal. Then, like you did at the beginning of your study, it’s great to pray again. Remember, you don’t read your Bible just to know more about what it says. That’s important. But, the main reason why we do it is to get closer to God! Bible study without real heart-changing conversations with God can lead us down the same road as the Pharisees. Whew! That sounds like a lot, doesn’t it? Once you’ve done all this, it’s awesome if you can find a group of friends or a mentor to help you work through what you are studying. Have questions? You can ask them about it! Sometimes, it may be hard to find times to sit down and read for 30 minutes, or you may be thinking that you would never journal your insights and prayers. That’s okay too! Listening to your Bible in the car or online can be a great way to learn more about what God is trying to say even if you don’t enjoy reading. Does your Bible study look different than this? Do you have any other Bible study tips you would like to share? You can share them in the comments below! 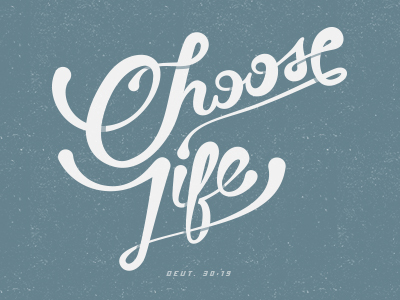 This week, we’ve been talking about the importance of choosing life. How do we choose life? By gaining godly wisdom and following God’s commandments, we can choose the path of life for our lives that our memory verse for this week talks about (Duet. 30:19-20). Though discipline and commitment are good for creating and sustaining a good relationship with God, it’s also incredibly important to long for that relationship, to desire it. Yesterday, we talked about what it means to desire God and his word and how that can transform our lives. Like Psalm 119:107b says, “LORD, give me life through your word.” When we choose to invest in God’s word, we are choosing life. Today, we are going to continue talking about the Bible and its importance for our lives. Specifically, we are going to talk about what the Bible can do in our lives, according to what it says. In our reading passage for today, verse 105 says, “Your word is a lamp for my feet and a light on my path.” One important way that the Bible gives us life is by shining a light for us to find our way through this dark world. Matthew 5:14-16 describes the Christian believer as a light shining on a hill for the world. If we don’t know God’s way of light through prayer and his word, then we are still living in darkness. How then can we be the light that Jesus describes? Paul describes us as the children of light, who do not belong in darkness (1 Thess. 5:5). Because of this, we need to dedicate ourselves to seeking that path of light, and we do this by pursuing God’s word. Why does the word of God have this power? We can think back to the beginning in Genesis 1 where God spoke and the world came into being! His word is just as powerful now. We have been given his inspired word. This means that though people wrote it who were not God, the message that it says comes from God. This message now is just as important as it was 2,000 or 3,000 years ago. 2 Timothy 3:16-17 says, “All scripture is inspired by God and is profitable for teaching, for rebuking, for correcting, for training in righteousness, so that the man of God may be complete, equipped for every good work.” If we want to train in righteousness, we need to commit ourselves to learning and internalizing God’s word! When we do this, we have to be prepared for a major heart change. If you remember what we talked about on Monday, we can see how the heart is fickle and doesn’t always follow the right paths of righteousness. We need something to test our ways against those of God (Isaiah 55:8-9). That is what the Bible can do! Hebrews 4:12 says, “For the word of God is living and effective and sharper than any double-edged sword, penetrating as far as the separation of soul and spirit, joints and marrow. It is able to judge the ideas and thoughts of the heart.” When we test our thoughts and actions against God’s word, we can begin to discern if we are following God’s ways of light or the world’s ways of darkness. The Bible can truly be a light to our path towards living a righteous life that mirrors Christ! Tomorrow, we will talk more about some practical ways to study God’s word. But, today, let’s rest in the power that comes from God’s word. God’s word accomplishes what it sets out to do in our lives. If we can speak his truth over our lives, we will begin to see him working in them in mighty ways. I am just about the opposite of a foodie. Though my boyfriend has gone to culinary school and makes just about the best food I’ve ever had, when I cook for myself, normally my meals are limited to eggs or maybe pasta. This being said, I have a love-hate relationship with food. Though I can’t detect hints of cinnamon or nutmeg in my food, man, when it comes time for lunch or dinner (or breakfast), I’m ready to eat. I tried to fast once (yep! Just once.) and I remember getting halfway through the day and calling it quits. My stomach was starting to grumble and hurt. When I tried to run, I remember feeling a little faint. I felt like I needed that food, right then. Yesterday, we talked about wisdom and how important it is to follow God’s wisdom and trust in God. Today, we are going to talk about what it means to desire that wisdom. If we look at Matthew 4:4, Jesus likens the word of God to bread, to our daily food. We need this spiritual food to live, just as we need actual food. What is your relationship to God’s word? Stop and think now about how you think about God’s word. Do you long for it as you get up in the morning and as you go throughout the day? Do you pant for it like someone panting for water in the hot summer Sun? If you go without it, do you start to feel those spiritual pains of grumpiness, anger, and hunger? Do you get hangry? The daily nourishment of God is even more important than the daily nourishment of our bodies with food. This sounds like a cliché. But, let me remind you, if you go without eating for long enough, you will die! This is serious and important stuff! Growing up, I did not long for God’s word. I would read it every now and then, but it wasn’t something that I read in order to survive, to make it through the day. I had a friend recently whose relationship with God and his word has completely changed. She mentioned how after she had made a point to daily meet God in his scriptures, she had begun to desire it. She needed it. And now, she can’t imagine life without it! Our verses today come from the longest chapter in the Bible, Psalm 119. This psalm focuses on what the Bible does for us and how we should desire it. If we seek God with all our heart, we will learn to keep his commands. Psalm 119:11 says, “I have treasured Your word in my heart so that I may not sin against you.” Do we believe that God’s word is such a gift that we treasure it in our hearts? Though discipline and commitment are incredibly important in every stage of our relationship with God, if we desire him and his word, our relationship with him will grow so much deeper! To follow down the right path of life that we talked about yesterday, we have to make it a point to pursue God through his word. Psalm 119:2 says, “Happy are those who keep His decrees and seek them with all their heart.” Do you seek God and His Word with all your heart?